David R. Gillham’s City of Women is yet another WWII novel (I’m a big fan, obviously), depicting events in Germany and raising the question of moral choice: to turn a blind eye to the crimes committed against the Jewish population (and other “undesirable elements”) by the Gestapo or to acknowledge them and do something to help the victims of the Nazi persecution. First of all, I must say that I’m very impressed by David R. Gillham’s extraordinary writing: It is beautiful and rich in detail. The description of the setting and events is so vivid it plunges you into war-time Berlin and makes you its citizen, rather than a mere onlooker. You feel with your skin the bleak and scary atmosphere of Berlin in 1943: air raids, bomb shelters, death, destruction, ration cards, extremism or disillusionment, you name it. You feel the fear of saying the wrong things under a totalitarian regime, where just one word against it can get you in trouble with the authorities, where not only your neighbors but your family may tell on you and get you arrested, tortured, deported or killed. Thus, helping others in that atmosphere takes great courage. Sigrid Schroeder is a “model German hausfrau,” except that she failed to fulfill one of the major duties of a German woman, which is, to procreate. Like other model Arian women, she goes through her daily routine: She works, quarrels with her mother-in-law, and writes letters to her husband fighting Russians on the eastern front. She isn’t blind to the acts of violence of the Nazis against Jews in her city, but she ignores them. She is too self-absorbed, pining for her ex-lover, a Jewish man, frequenting the movie theater where they used to meet and reliving their passionate rendezvous. So she’s in a state of slumber, if not indifference, to what is going on around her. Until Ericha, her young neighbor, involved in hiding Jews, asks for her aid. Only then does Sigrid step in. It’s her “awakening.” And once she becomes a part of an underground group (the nation’s conscience, I would say), she can’t turn back, despite the ever-present danger to her life. I personally was shocked by one unfamiliar aspect of the war, explored by the author. We hear a lot about the Holocaust, but not about this particular aspect. But, of course, I’m not going to ruin the suspense by naming it. I can only say that most of the characters in the novel are not what they seem to be, and we the readers experience the same surprise or shock at the truth revealed as Sigrid Schroeder does. 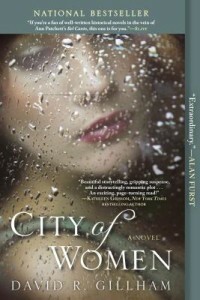 City of Women is David R. Gillham’s great debut. The suspense is so spellbinding, I couldn’t put the book down. Here’s an interview with Chris Bohjalian discussing his novel Skeletons at the Feast: How he came up with an idea for it, how he chose its title, why this title is so suitable, and why this particular novel (his thirteenth) is his most favorite. What impresses me most in this interview is Mr. Bohjalian’s frank and humble admission of his struggles as a writer during the writing process. Chris Bohjalian‘s Skeletons at the Feast, a heartrending story about the suffering of civilians in WWII, made an everlasting impression on me. Just like in A Woman in Berlin (reviewed on 10/25/13), it is set in the last months of WWII in eastern Germany and describes people’s fear of the advancing Red Army. The rumors, as well as the warnings of the authorities , about Soviet troops committing unspeakable atrocities in the already occupied territories create panic among the general population, forcing families to flee their homes before they become victims too. The novel runs two parallel story lines: One, depicting an odyssey of the Emmerichs, a Prussian aristocratic family, who are trying to reach their relatives in the western part of the country; and the other, depicting a death march of Jewish women, the prisoners of a Nazi concentration camp, that are being relocated to the west by their tormentors. The novel is rich in themes, but if I were to choose one word that connects them all it would be: Struggle. The struggle to merely survive. The struggle to live so they “could someday tell people what the Germans were doing.” The struggle to choose between obediently following the laws of the Nazi regime or fighting them. The struggle of middle-aged men to choose between joining the army, despite their awareness of its inevitable defeat, or escaping conscription and heading for the west with their families. Also, the struggle of a young woman to keep her lover, a Scottish POW, well-hidden from the authorities. It’s not the first novel I’ve read about WWII that points to the “supposed” unawareness of the majority of Germans of the crimes committed by the Nazi government against Jews, political opponents, and other groups that are not to their liking. Yes, they are brainwashed by the Nazi propaganda, but they also choose to turn a blind eye and a deaf ear to what is going on in their neighborhoods. And then they’re shocked to hear about the Soviets’ horrible treatment of them. Some Germans wonder if the Bolsheviks’ barbaric behavior is a retaliation to the German soldiers’ crimes against Russian civilians. “What the Russians were doing wasn’t forgivable. But it was, he feared, understandable. In their minds, they were just taking an eye for an eye.” Well, isn’t that obvious, based on what’s going on around them in their own country?! Another significant aspect that caught my attention is this: The anonymous author of the diary A Woman in Berlin makes an important distinction between German and Russian occupants in enemy lands: Germans violated and murdered children, whereas Russians spared them. In Skeletons at the Feast, however, Russian soldiers make no distinction between adults and children: They treat everyone brutally. Which is true? Probably both, because a diary is an account of one person, who derives her conclusions from a few persons’ narratives. A work of fiction is an imagination that may include facts, based on research. As far as I know, the vanguard of the Red Army was mostly penal battalions, many of whom were criminals and thugs. And what could anyone expect from that kind? 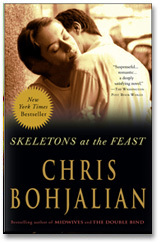 Skeletons at the Feast is another great achievement by Chris Bohjalian. Highly recommend. 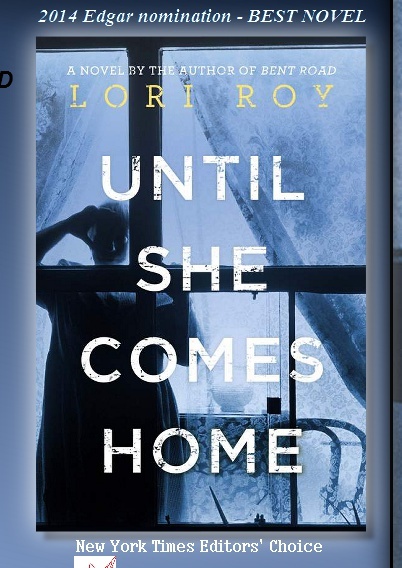 All events happening in Lori Roy’s Until She Comes Home stem from the murder of a black woman in Detroit in 1958, followed by the disappearance of a mentally-challenged young woman from a quiet white community. With her riveting tale, Lori Roy takes us on a fascinating journey into the late ’50’s: Women’s subservient position at home and in society; racial tension (mutual distrust and wariness between whites and “coloreds”); police priorities and methods of crime investigation. The author excels in the depiction of white men and women in the ’50’s. Men are breadwinners, and they know their duty, just as they know well their wives’ duties. When trouble falls on their community, they stick together, doing as best they can to help one another. When there’s family trouble, they keep it at home. They keep the status quo in their families, no questions raised. Lots of things described in the novel made me grit my teeth from anger and think, Thank God, we’ve progressed in the past few decades! Lori Roy is a very gifted writer. Until She Comes Home is suspenseful, gut-wrenching, thought-provoking story, which impressed me as much as her Edgar Award-winning debut novel, Bent Road. I love winter. I love temperatures below freezing, the fresh, crisp air that I actually see while breathing. I love it when the cold tingles the skin on my face, coloring my cheeks, and stings my knees, making me shiver, compelling me to hasten my pace during walks. I love the chilly air shocking my face when I get outside, just as I love the feel of my home’s warmth when I get back inside. Yes, I love it all. But…I love this time of year snowy. Without snow, winter is not “quite” winter for me, not really. My “winter picture perfect” on a Saturday morning is this: Buildings, trees, benches, steps, handrails, parked cars enveloped in light, pristine, puffy whiteness. Snow-covered roads and sidewalks marked by tire impressions and footprints, but only slightly. Piles of snow on sidewalks–high and fluffy, like cotton candy. 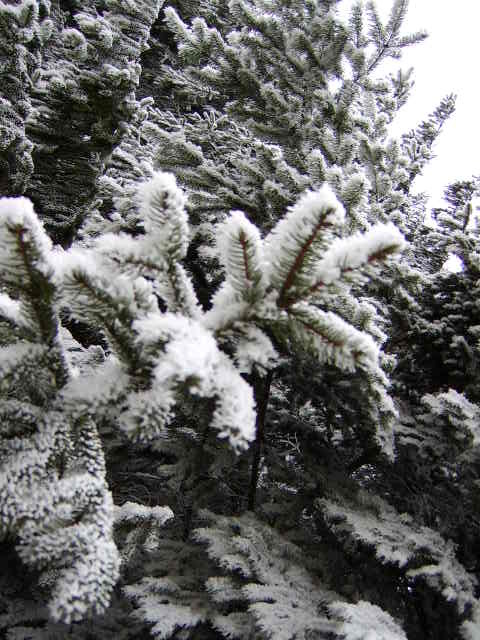 The needles of fir trees encrusted with clumps of sparkling snowflakes. My puppies, Greta and Gunner, frolicking in our backyard, chasing one another, jumping over the piles, their tails wagging, noses sniffing, mouths stretched in happy smiles. Snowy winter was a source of inspiration for me while writing my first novel, Disengaged, set in Bavaria, Germany, and it is now, while I’m working on my forth novel, set in Moscow, Russia.